the nytpicker: Sad Milestone: For The First Time In Memory, NYT Sports Section Skips The Indy 500, Prints Wire Story. Sad Milestone: For The First Time In Memory, NYT Sports Section Skips The Indy 500, Prints Wire Story. In 1911, the NYT had a reporter present at the first Indy 500, who gave the turn-by-turn on Roy Harroun's win despite a fiery accident. Yesterday, for the first time anyone can remember, the NYT had no reporter present at the Indy 500 -- in which Dario Franchitti won the race, despite a fiery accident. It ran a wire story from the Associated Press. Now known as the "Greatest Spectacle In Racing," the Indy 500 attracts crowds of more than 400,000 to Indianapolis every Memorial weekend, and is considered one of the sport's three biggest events. We know, we know -- sports coverage has fallen on hard times, too. The NYT has cut back on its coverage of events, in favor of broader stories that play to the paper's national audience. It's the right approach. We still like the NYT's sports section. We miss Harvey Araton's column, but we get it. Still, it seems an odd decision for the NYT to keep its reporters home this year, from an event it had covered in person for decades. For one thing, it sent an downbeat message to the nation's many auto racing fans -- millions of Americans who spend billions of dollars on licensed products, many of whom flock to Indianapolis each year in annual pilgrimage to worship their sport. Paul Newman even made a movie about the Indy 500, called "Winning." Come on, guys -- Paul Newman! In recent years, Dave Caldwell (last seen reporting on the hockey playoffs in Philadelphia on May 19) covered the event. Bill Pennington, Lynn Zinser and Liz Robbins have been known to turn up in the press box. Ira Berkow, the NYT's former columnist, stopped by in 2003. We've emailed Tom Jolly, the sports editor, for comment. We'll update when we hear from him. We're curious to know how the NYT picked this one to skip. Come on. The drivers go around some loop 100, 200 maybe 500 times. I don't know how long the track may be and I don't really care. 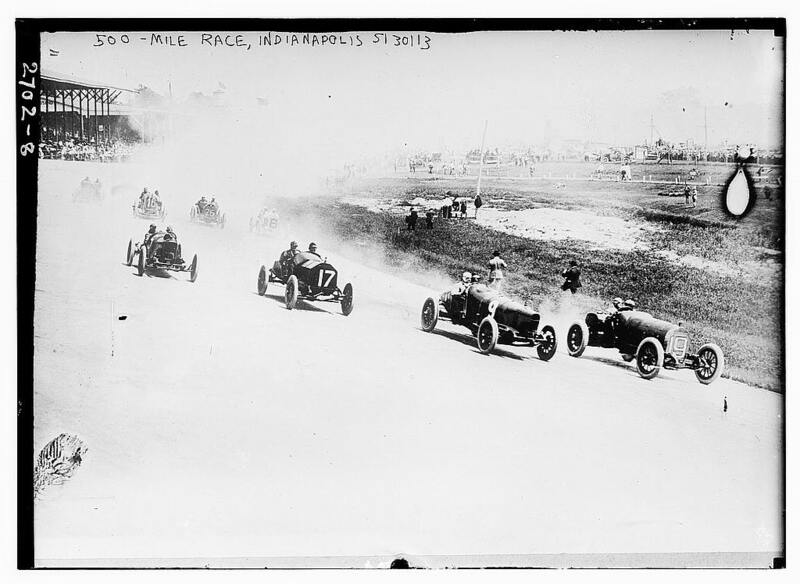 The Indy 500 was interesting back in the 1920s when auto innovation pushed it forward. Now they're torn between encouraging innovation and keeping the race fair. The rules are now so tight that most of the cars are pretty similar. So it's just driving along and hoping the other person does something dumb. That's not exactly a sport, although it's pretty much what golf happens to be and I don't think that's worth coverage either. I think Mr. Jolly or the deputy made the right call. Bring us more features and fewer bits of information that can be gleaned from some agate table on ESPN. Seems like the NYTPicker suffers, in this case, from a bit of nostalgia. Perhaps the buffet in the press box is pretty good, I wouldn't know. But otherwise, without a story to cover, I'm not sure I would have sent reporters either. Danica Patrick gets enough coverage. They might do better to follow-up with a broader story about racing culture as appeared in an issue of Bookforum. There the argument is made that NASCAR represents a kind of stability and tradition that is missing in the post-industrial South. Given that argument, open wheel racing, even with a real, concrete sense of tradition, is falling into irrelevance. Too bad, too. And we certainly don't need another story about Danica Patrick. 400,000 in attendance and millions more following on radio, TV, Web etc. does not make it news? After putting a "protest" walk by four or five people on page 1, that is a clear demonstration of where the biases of the newspaper lay. And, no, no focusing on a target market is involved in these two instances. To Anonymous @9:38am, by your standard, the NYT wouldn't cover the Kentucky Derby, either. Horses running in circles, hoping the other horse screws up. Cool it Balthasar, the sport be well alive and loved, though NYT faked its death to mask another world from view in these times of grand automobile backlash. No, I think anon@9:38 was spot on. Horse racing is a sport for the horses and the riders actually do something along the way. The horses and the riders-- to some extent-- have to be fit. When the cars are so similar and the strategies are well understood, there's not much to do except grind through the laps. Sport is interesting and worthy of coverage when new strategies and new personalities create uncertainty. When it's all understood, then it's kind of random. Honestly, Indy and open-wheel racing are declining a lot faster than NASCAR. I think the major problem is that Indy racing has become almost unwatchably boring on a week-to-week basis. Sure, there are over 30 cars in the Indy 500, but usually it's in the low 20's (up from the last few years), and only a few teams have a legitimate shot at winning. In 2009, only six drivers won a race. Passing battles in the series are virtually nonexistent. If you want to see why no one watches indy racing any more, look at the current highlights and compare them to old youtube clips of older open wheel racing. Start with Montoya vs. Andretti in the 2000 Michigan CART series race. If the cars still worked like that aerodynamically in traffic, Indy would have a strong following. This is a sport that needs a new twist, such as firearms.